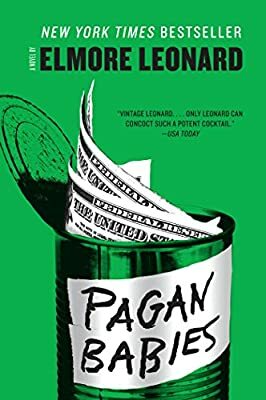 Pagan Babies is classic crime fiction from the master of suspense, New York Times bestselling author Elmore Leonard. Father Terry Dunn thought he'd seen everything on the mean streets of Detroit, but that was before he went on a little retreat to Rwanda to evade a tax-fraud indictment. Now the whiskey-drinking, Nine Inch Nails T-shirt-wearing padre is back trying to hustle up a score to help the little orphans of Rwanda. But the fund-raising gets complicated when a former tattletale cohort pops up on Terry's tail. And then there's the lovely Debbie Dewey. A freshly sprung ex-con turned stand-up comic, Debbie needs some fast cash, too, to settle an old score. Now they're in together for a bigger payoff than either could finagle alone. After all, it makes sense...unless Father Terry is working a con of his own.